A new survey of over 500,000 gamers has shown the Xbox 360's failure rate has dropped. 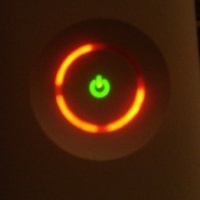 Last August Game Informer released a survey of 5,000 people, which stated 54.2 percent of all Xbox 360s fail. That number has decreased with this new survey released by No Fuss Reviews, the Xbox 360 was reported to have failed for 42 percent of the respondents. Of the 42 percent, 55 percent reported needing more than one console repair or replacement, with 39 percent needing over two repairs or replacement. The survey also failed to take into account the amount of time the consoles were used or how long they were played, data that was suspected to have inflated the Xbox 360's numbers in the Game Informer poll. Finally, the survey did not take into account the manufacture dates of the systems, another factor which likely plays a huge part in the Xbox 360 failure. The initial Xbox 360s used chips manufactured by Falcon, which were notoriously unreliable. In 2008, Microsoft switched to chip developer Jasper, and projections indicate that this change has made the constant failure that plagued the earlier consoles a thing of the past. That fact alone could very well have contributed to the decline in figures, as more new consoles are placed on the market, the likelihood of failure decreases. The survey also reported that 8 percent of respondents reported the PlayStation 3 failing, while a mere 1 percent of respondents reported the Wii failing.